Success matters, whether your case involves personal injury, corporate representation, family disputes, will and estates, residential or commercial construction law, or insurance coverage disputes of all types. Dunlap Law Firm is an expert in Kentucky courts and lawsuits. We use mediation and negotiation to help clients–including individuals, families and business–achieve the legal results they desire. Experience matters in understanding your case, knowing how the other side thinks and what judges and juries need to find in your favor. 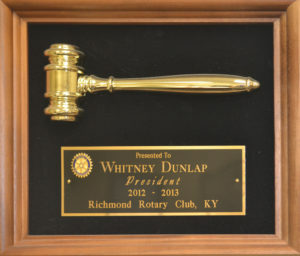 Attorney Whitney Dunlap and his staff have tried cases and helped clients across central, northern, and eastern Kentucky for 30 years. We are confident that our understanding and knowledge of state and federal laws are an invaluable part of the services we provide. Our attorney and staff have the determination, tenacity, and skill required to successfully litigate your case when litigation provides the best means of resolving your legal issues. Our professional courtroom demeanor and meticulous preparation gives us an edge as an assertive, strategic advocate.